Dreaming last night, I walked through a door into a white painted room. I noticed an ABBA Studios sign on the left hand wall. Turning to look at the sign I realised band members, Björn, Benny, Frida and Agnetha were sitting casually underneath on separate pieces of furniture. While retrieving a mobile phone from my right hip pocket, so that I could take a picture, the artists moved away. In my mind I could hear the haunting sound of a flute playing the track, Eagle. This song has been with me for almost 40 years, being one of my favourites on ABBA: The Album, released in the UK in 1978. Listening to Eagle always gives flight to the endless possibilities available to me, through my thoughts. The story of my connection with this album is described in Thank you for the music. Oh I love their music too. I wish I could have walked with you in your dream. I’ll do the next best thing, play some Abba songs. Good music to start a New Year with so much uncertainty facing us. Thanks for the reminder. I agree, a great way to lift our spirits, Eileen. My friend and I were hiking a few years ago in the woods by a large creek. It was winter and snowy. We went down a small incline to look at the pretty frozen lake. She could not get back up the incline. As I tried to help her we both slipped and fell down. Her phone fell out of her pocket and started playing Mamma Mia. So there we lie in the snow with ABBA blaring on a cold snowy day, laughing so hard we could not get up. Still makes me smile. This was my favorite back in the day! Feels weird listening to it after all of these years. Let’s see as a New Year’s Eve baby in ’68 I guess I would have been 9 when the song came out. Thank you for reminding me I like this tune too. You have to wonder what does such dreams mean? Is it a message from ABBA for you to start a career in music, perform their songs at parties? Do it! Do it! Haha! 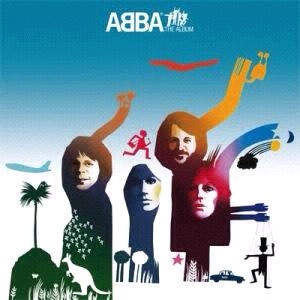 Thanks for drawing my attention to ABBA after what almost 4 decades! Yikes! How did that happen? That’s some longevity for a band. I remember this album too – yikes! is it that long now?